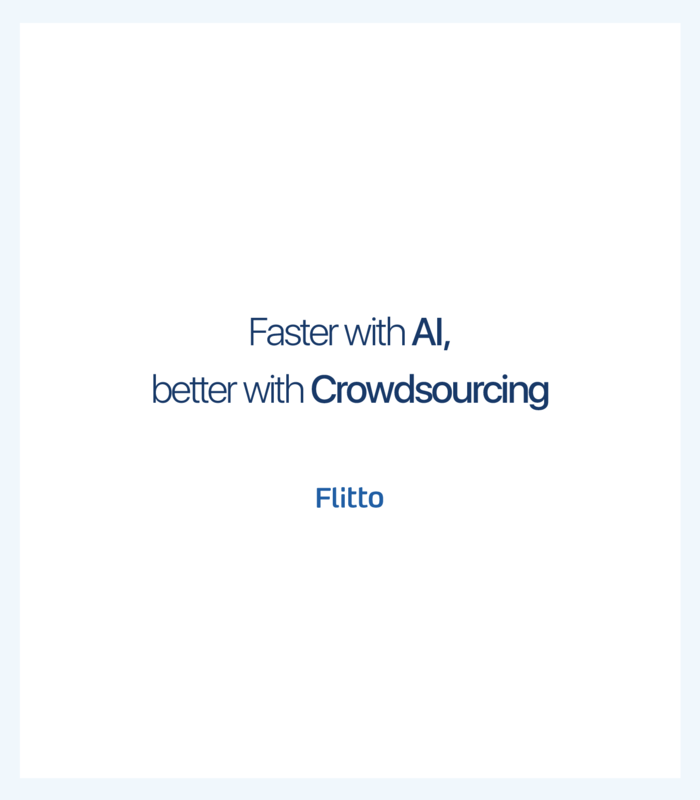 Dear Flitto users. 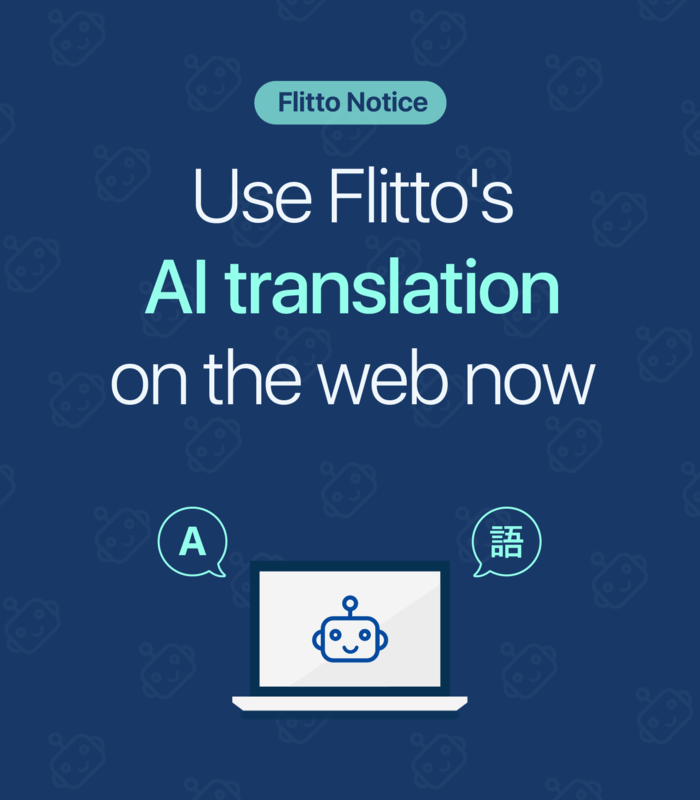 Flitto's AI Translation previously offered only in mobile app is now available on web, as of April 24 2018. 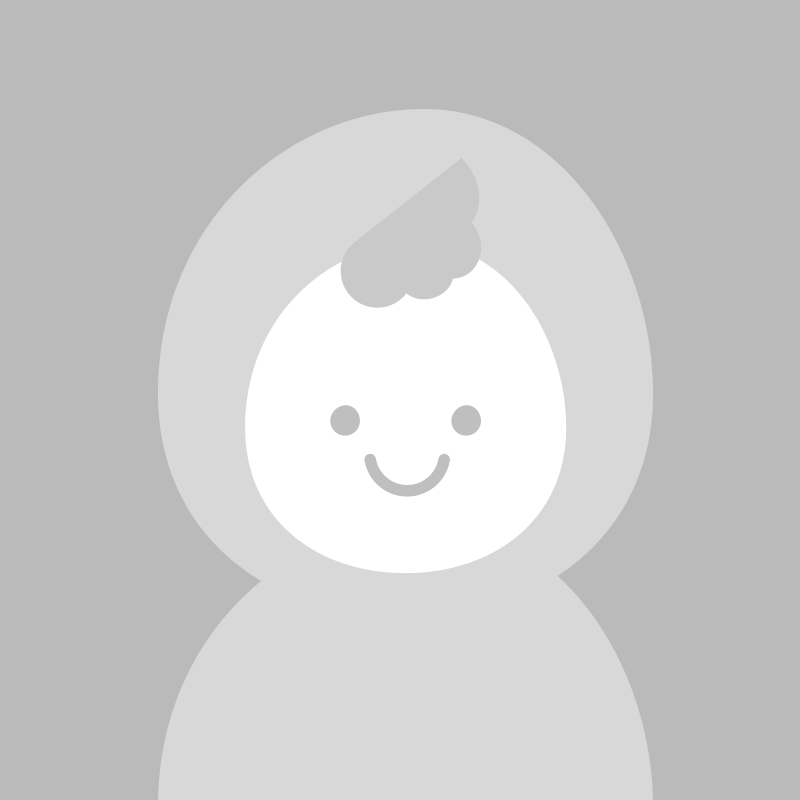 You can translate 23 languages, 506 language pairs in real-time. 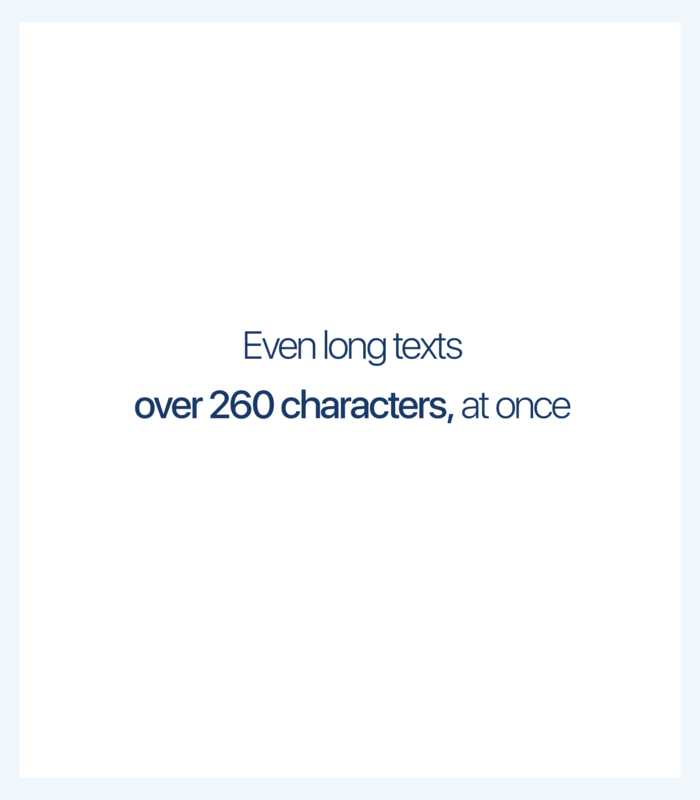 Long sentences with over 260 characters, which were not supported in the mobile app, can be translated with just one click. If the AI translation is not satisfying? 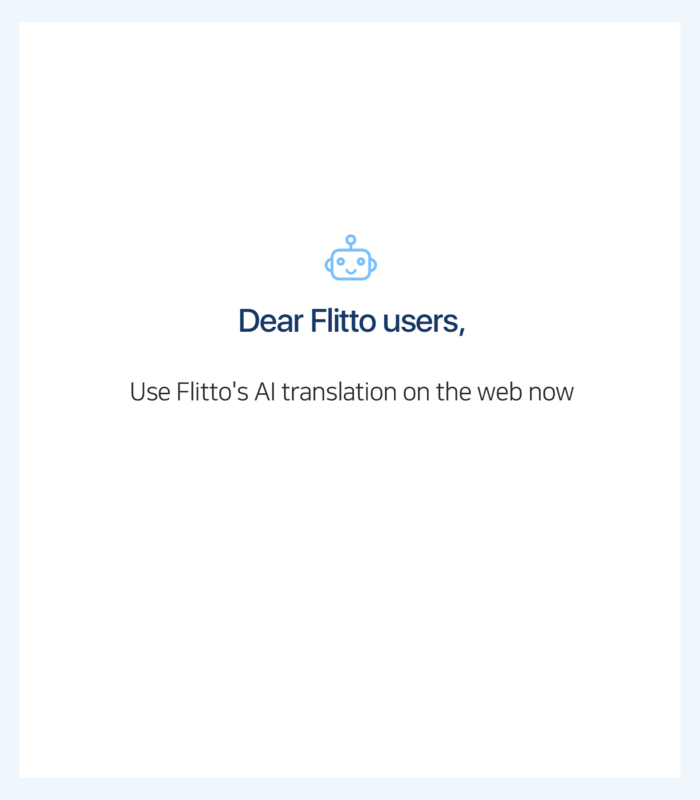 With one click, you can request translation to crowdsourcing translators. Try it now!